Riviera Nayarit offers exceptional conditions for birdwatching. (Francisco García photography). Although this historic port is considered one of the top birdwatching destinations in North America, truth is all of the Riviera Nayarit offers exceptional conditions for this type of activity. The Birdwatching Season in San Blas began last September 14, 2017 and came to a close with some excellent numbers: 454 registered bird species and the arrival of 113 watchers from nine different countries, among them the United Kingdom, one of the top destinations in the world for this type of activity. These numbers are part of the statistics gathered by Mark Stackhouse, renowned ornithologist, tour guide, and professional birdwatcher, who has lived for the past few years in this coastal town of the Riviera Nayarit. Here he has developed his passion together with a well-trained group of birders. The historic port’s privileged location and its seven unique ecosystems make it the destination with the most diversity of species in all of North America. Some of these have already become icons of the region and are a draw for international tourism. Stackhouse shared that this season alone they welcomed watchers from the United States, Canada, and Mexico—the more traditional countries of origin—, as well as Colombia, France, Germany, Egypt, and India. Mark also added they visited 79 different birdwatching sites in five different states, among them Durango, Sinaloa, Jalisco, Colima, and Nayarit. “San Blas is already famous as a birdwatching site and it’s one of its top attractions. Anything we can do to promote this type of tourism is a good thing,” he added. Of note is the fact this season was the first time the area welcomed watchers from Finland, thanks in large part to the recent arrival of the Finnair flight from Helsinki. Francisco García, an experienced guide, said he led 10 birdwatching tours and helped a total of 20 Finns, many of them very well-informed with a good knowledge of the birds as well as the habitats present in San Blas. “They loved San Blas and its surroundings, in fact, they didn’t limit themselves to observing just birds but also the state’s culture, something they’ll no doubt take back with them when they return to their country,” he said. 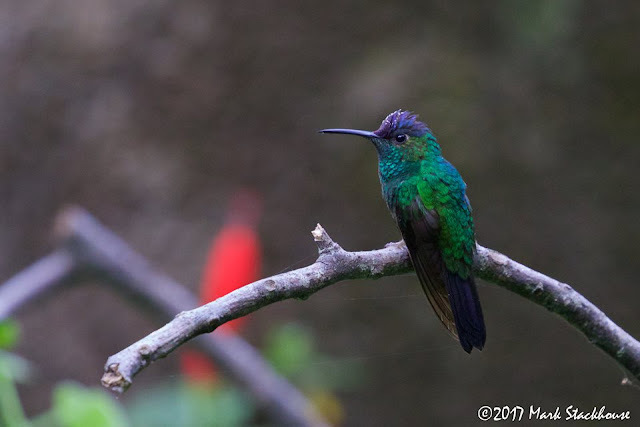 Francisco said he was pleased to see that this season there were a lot of birders present—the negative comments about San Blas over the past few months notwithstanding—, mainly from Europe, as well as England, Germany, and France. There are approximately 250 endemic bird species in Mexico that call San Blas home; meanwhile during the winter season 80% of the bird population is comprised of migratory species from all over North America. Common sightings include the Inca doves, northern potoos, kingfishers, yellow-winged caciques, and western larks, as well as those endemic to the region including the elegant quail, parrots, Colima pygmy owls, trogons, red-tailed motmots, golden-cheeked warblers, San Blas crows, and the Sinaloa Kinglet, just to name a few. Larry Benett Photographer. Numerous publications of his exquisite work have him considered one of the best wildlife photographers in Mexico and the United States. (Francisco García Photography). 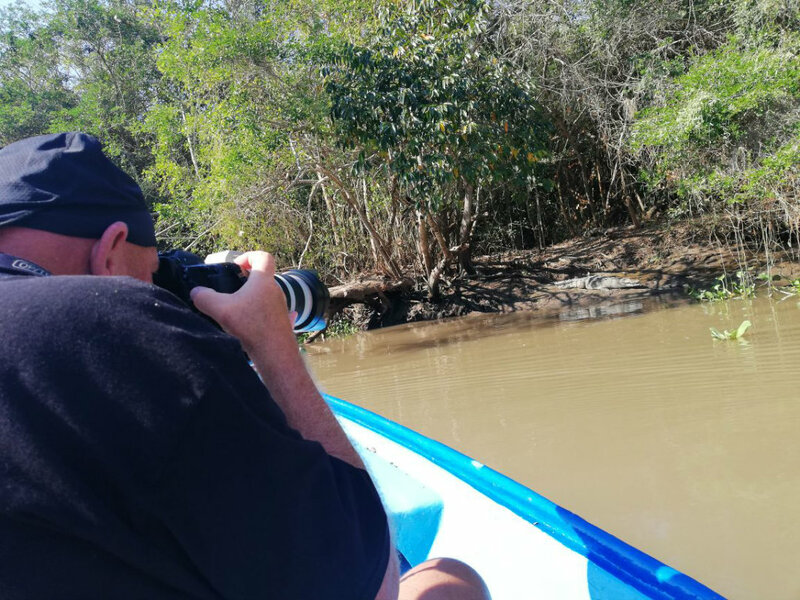 Marc Murphy, director of the Riviera Nayarit Convention and Visitors Bureau (CVB) and the Bahía de Banderas Hotel and Motel Association (AHMBB), commented that birding, or birdwatching, has become an important promotional tool for the destination. There are approximately 47 million birders in the United States, of which 18 million have crossed borders to take part in this activity, according to the data from the 2013 National Survey of Fishing, Hunting, and Wildlife-Associated Recreation. Bare-throated tiger heron. (Francisco García photography). The Riviera Nayarit Convention and Visitors Bureau (CVB) and the Bahia de Banderas Hotel and Motel Association (AHMBB) reaffirm their commitment to the strategic promotion of the destination, seeking areas of opportunity such as birdwatching tourism to consolidate new markets in order to increase the number of incoming tourists with the support of the Government of the State of Nayarit via the Tourism Promotion Trust.